Austin Wynns is making progress with his oblique injury but remains two weeks away from getting into game action, Rich Dubroff of BaltimoreBaseball.com reports. 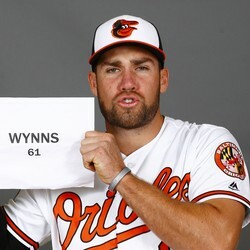 Wynns will need a rehab assignment before getting behind the plate for the Orioles. The veteran should slide into a starting role at catcher when he gets back. For now, Jesus Sucre is seeing most of the playing time.